I produce both functional pottery and decorative ceremonial pieces. I draw on ancient forms, symbols, and archetypes, expressed through a range of ceramic techniques. My work has been featured in numerous gallery shows, exhibits, articles and books. 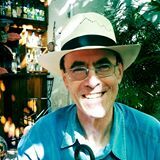 Most of my work is done in my home studio in Sunnyvale, California, and is available for sale at shows in the San Jose area. 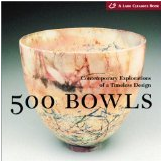 One of my horsehair bowls was featured in 500 Bowls, from Lark Books. The book is available from Amazon.com. 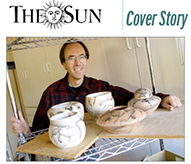 Read about my Open Studios sale in the Sunnyvale Sun.